During the recently concluded visit to Japan by Vietnam's Prime Minister Nguyen Xuan Phuc, both sides inked a total of 43 foreign direct investment agreements valued at over $22 billion. Political security also formed an integral part of the meeting as both expressed "deep concerns" over the developments in the South China Sea and urged all the parties to settle disputes through peaceful means with respect for diplomatic and legal process. Additionally, Japan will provide $350 million to help upgrade Vietnamese coast guard vessels and their patrol capability. Prior to his visit to Japan, Phuc's official visit to the US also generated tangible results. Phuc and US President Donald Trump issued a joint statement to enhance their comprehensive partnership. Regarding the South China Sea, both emphasized the importance of "freedom of navigation and overflight" and the need for peaceful resolutions of disputes without the use of force or coercion. The US transfer of a Hamilton-class cutter to the Vietnam Coast Guard to enhance Vietnam's law enforcement capabilities represents another step to strengthen their defense cooperation. Successive visits to the US and Japan signify Vietnam's initiative to play a larger part in regional affairs. In the face of China's rise, Vietnam needs to woo other countries outside the region to contain China in the South China Sea and protect its vested interests. Regarding its relations with China, Hanoi promotes favorable party-to-party links with Beijing while delicately managing state-to-state ties that stress maritime interests. However, it should be pointed out that Phuc's official visits will not alter political realities. Vietnam's new leadership is determined to maintain friendly relations with China, with its general secretary of the Central Committee of the Communist Party of Vietnam, the president and the prime minister having paid official visits to the latter. On the disputed South China Sea issue, Vietnam showed restraint in the South China Sea arbitration case initiated by the Philippines without further aggravating the crisis. Right now, concerned parties are committed to active negotiations. At the 14th Senior Officials Meeting on the implementation of the Declaration on the Conduct of Parties in the South China Sea held in China's Guiyang in mid May, representatives for China and ASEAN countries have agreed to a framework for the code of conduct. Not only a major improvement for managing disparities, it is also a manifestation of the intelligence and capability of relevant nations for settling regional disputes. 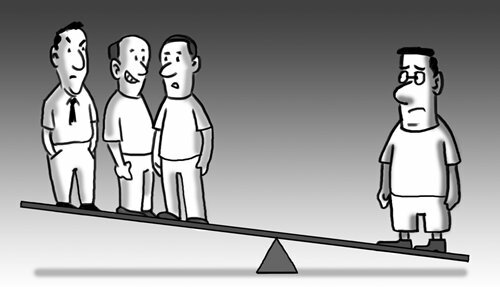 Against this background, all the Southeast Asian nations should manage their roles in regional cooperation with consideration to their relations with external players. Countries within the region should welcome the positive influences exerted by countries outside of the region. However, the involvement of countries from outside a region should not act to destabilize regional cooperation. Intimate regional collaboration comes as an inevitable result of globalization, satisfying the needs of various countries. If countries in a region engage in competition with each other or even fall into the orbit of external powers, the entire region will lose its competitiveness. In view of this, Vietnam's frequent talks with the US and Japan about the South China Sea should not be viewed as benign. Japan's help to upgrade Vietnamese coast guard vessels is aimed at inciting Vietnam to confront China at sea. It is good to widen your circle of friends. However, if the intention is to guard against your neighbors then it will create destabilizing factors in the future. This is true of interpersonal relationships, and also international ones.